Color blocking has been a growing trend this past year, and this fall it's chicer than ever! Depending on how you interpret this trend, your look can exude effortless sophistication or a fun and flirty attitude. 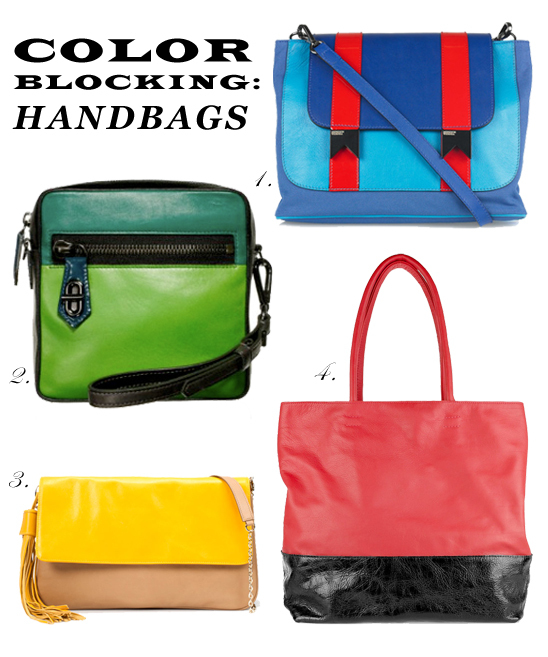 Today, we bring you the best in color blocked handbags. These bags are sure to add a pop of color to any outfit. As the fall collections make their way into stores, it is clear that color blocking is here to stay. So wear this trend head to toe or simply add a color blocked bag to your fall wardrobe.